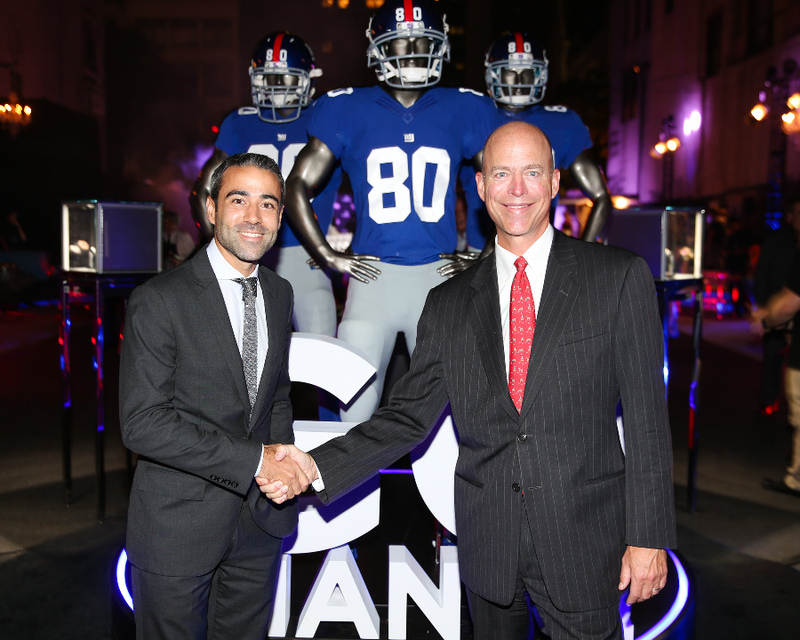 First, Hublot partnered with the Dallas Cowboys, and now it’s the New York Giants; both teams are in the NFC East. 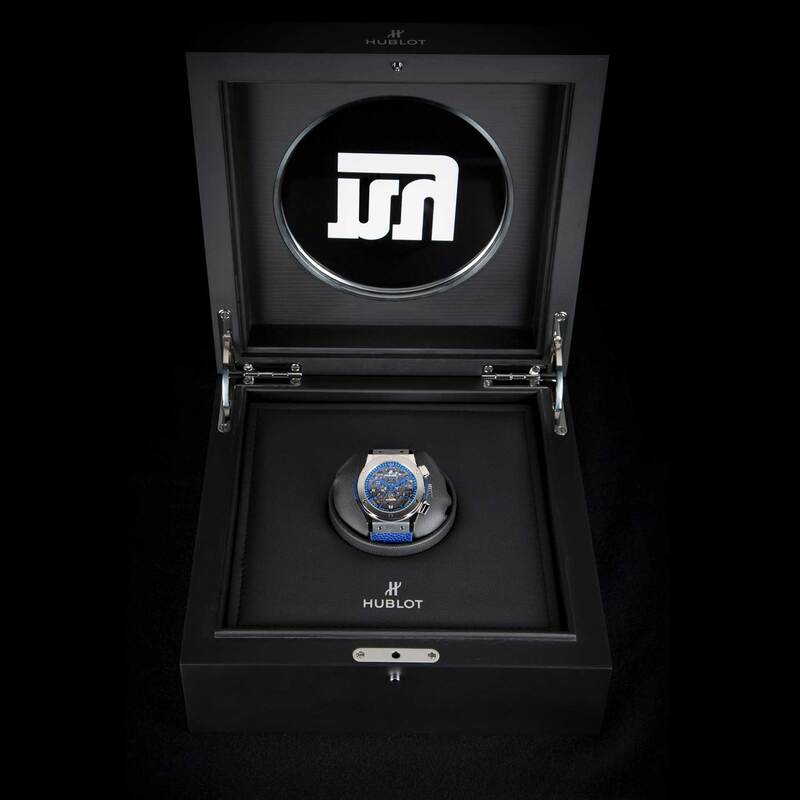 Are the Philadelphia Eagles next? 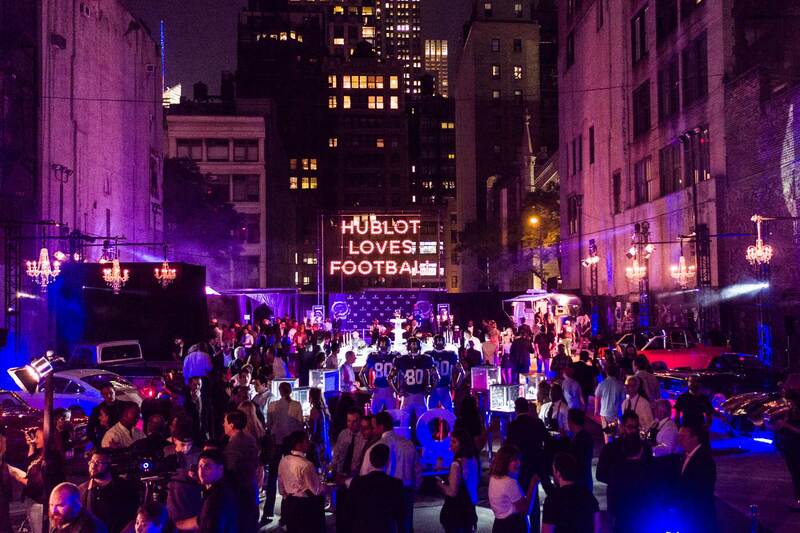 I, as a die-hard Iggles fan, certainly hope so. 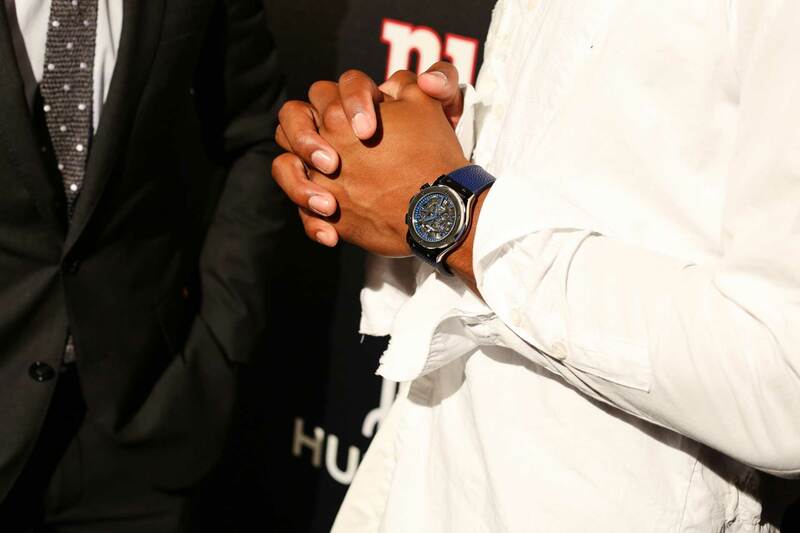 I’ve long advocated for a luxury watch to become the official timepiece of the NFL and Hublot is making that happen, one team at a time. 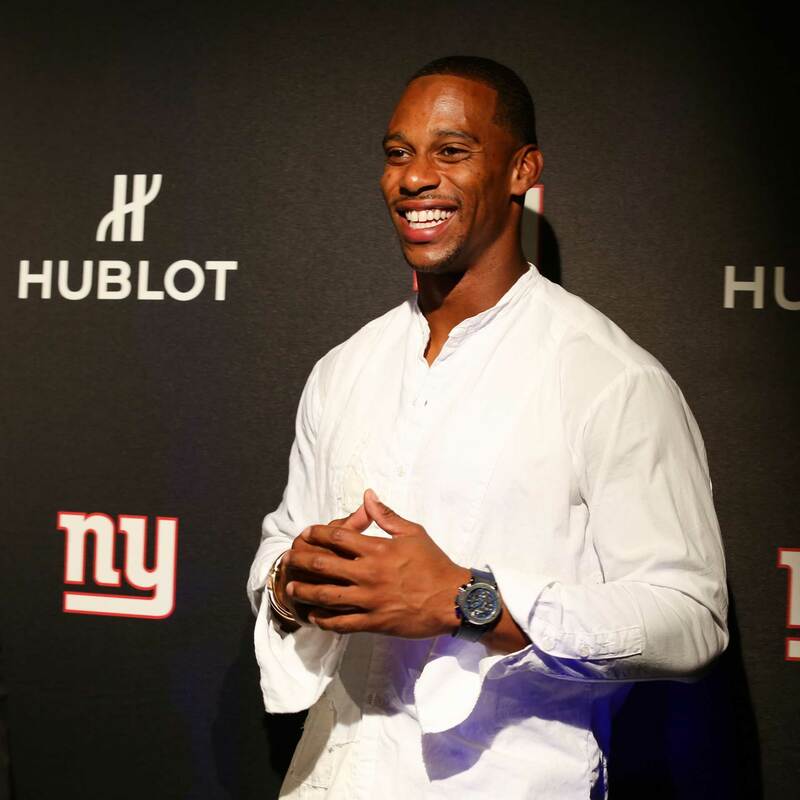 In September, Hublot became the official timekeeper of the New York Giants and introduced an exclusive timepiece co-designed by Giants’ wide receiver Victor Cruz. 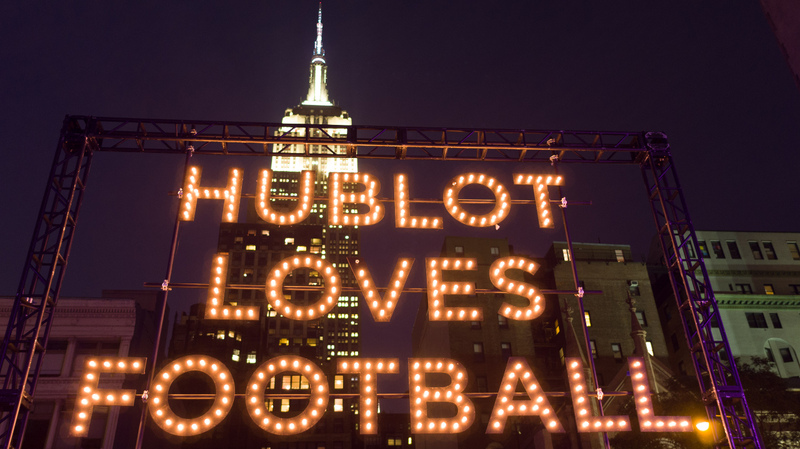 “We are thrilled to announce our collaboration with the iconic New York Giants–an exciting addition to our long-standing history with the world of professional sports–especially global football,” Jean-François Sberro, Managing Director, Hublot of America, said. 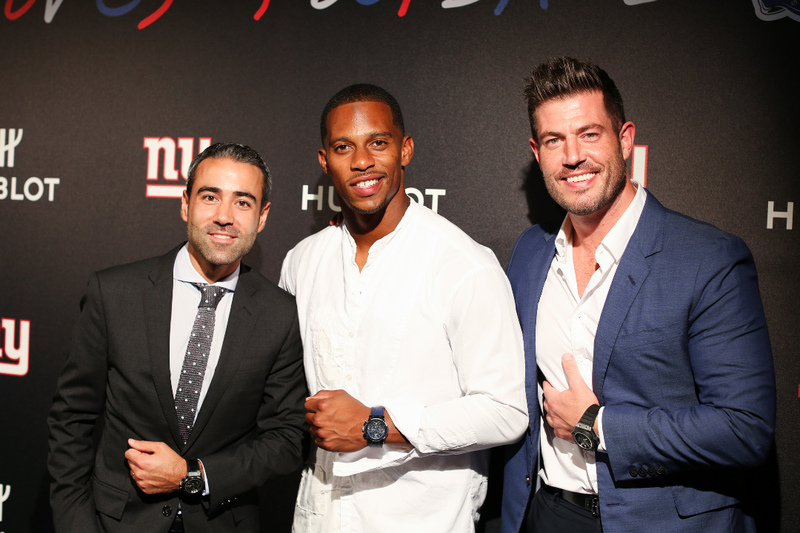 “Hublot’s commitment to aligning with the best sports properties and athletes around the world made this a natural connection for us,” explained Mike Stevens, SVP & CMO, the New York Giants. 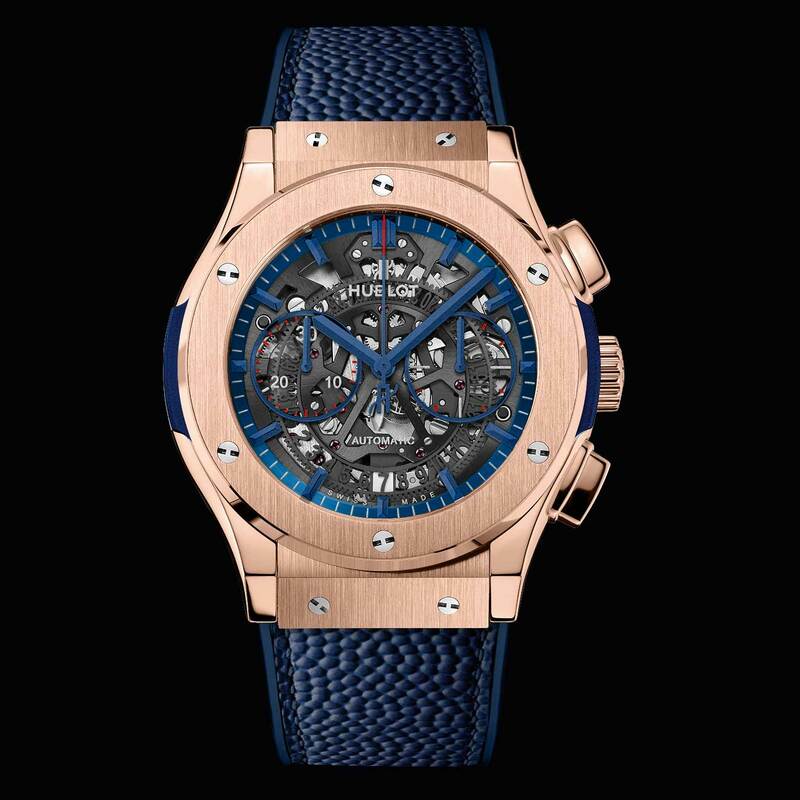 The new timepiece is the Classic Fusion Aerofusion Limited New York Edition, available in either titanium (40 pieces) and King Gold (10 pieces). 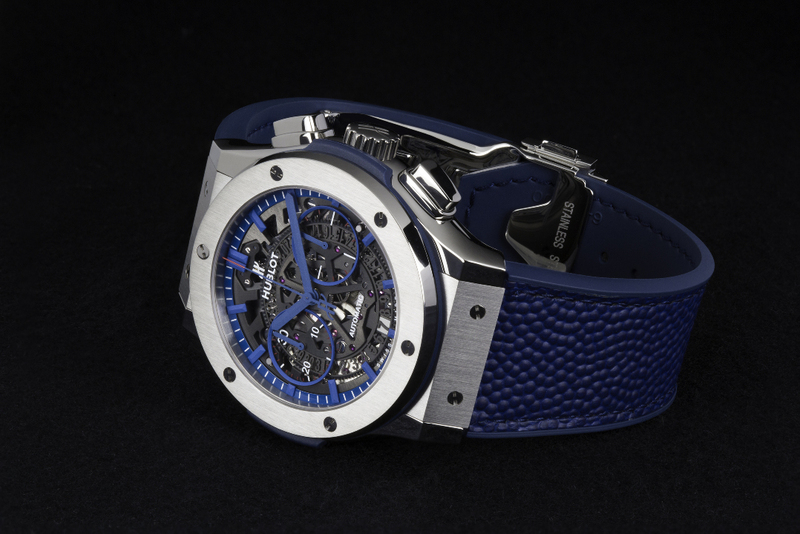 The watches feature touches of Giants blue in the dial and caseback, and both watches come on a pebbled “pigskin” football-inspired strap. 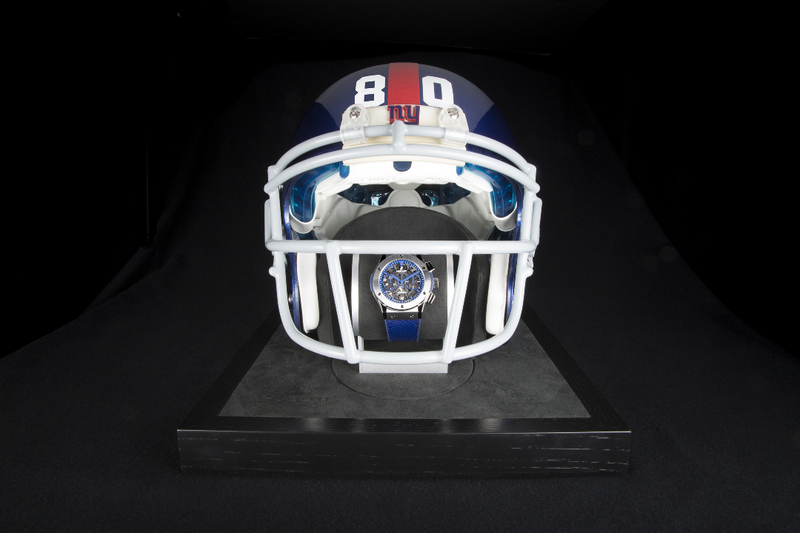 The limited-edition watches come in a full size, authentic New York Giants helmet signed by Cruz himself. 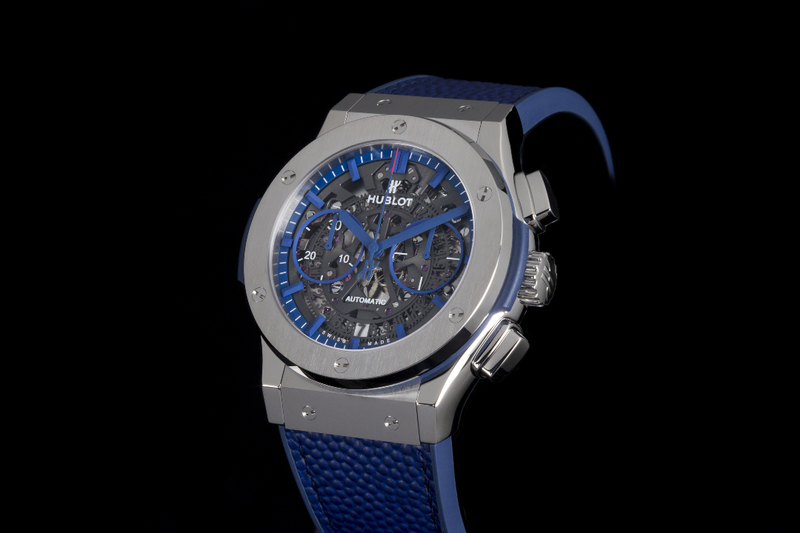 The limited editions will initially be available for purchase at Hublot New York locations on Fifth Avenue and Madison Avenue. 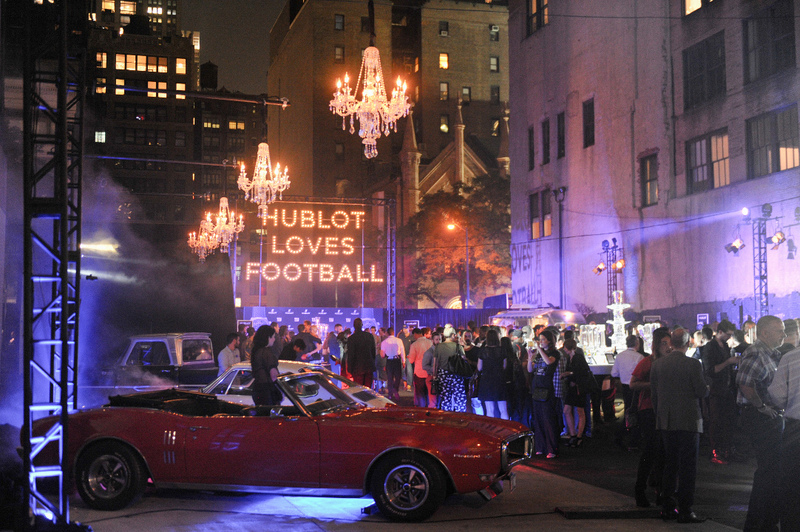 Hublot’s exposure as a result of the partnership with the New York Giants includes game day presence, team media, custom events and hospitality, and Giants Lifestyle content. 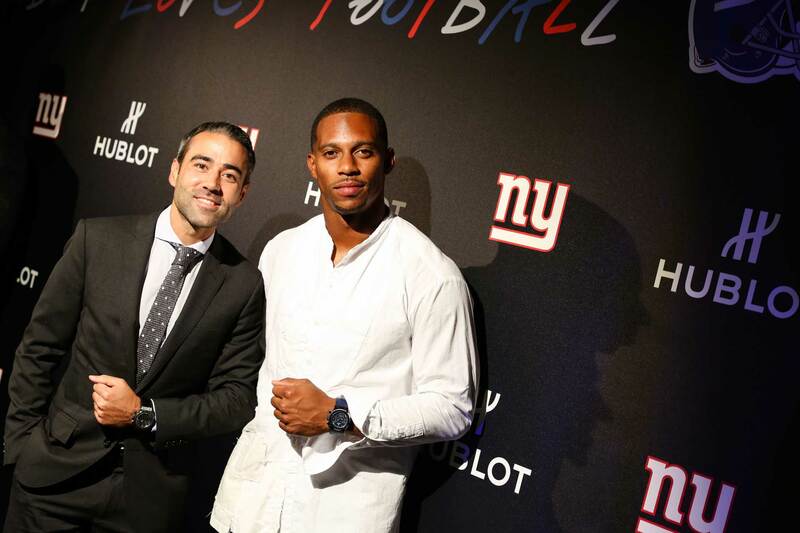 The Hublot Countdown to Kick-off video feature will show in-stadium as the Giants prepare to take the field at Metlife Stadium and Giants Coach’s Timeouts will be sponsored by Hublot at all Giants home games. 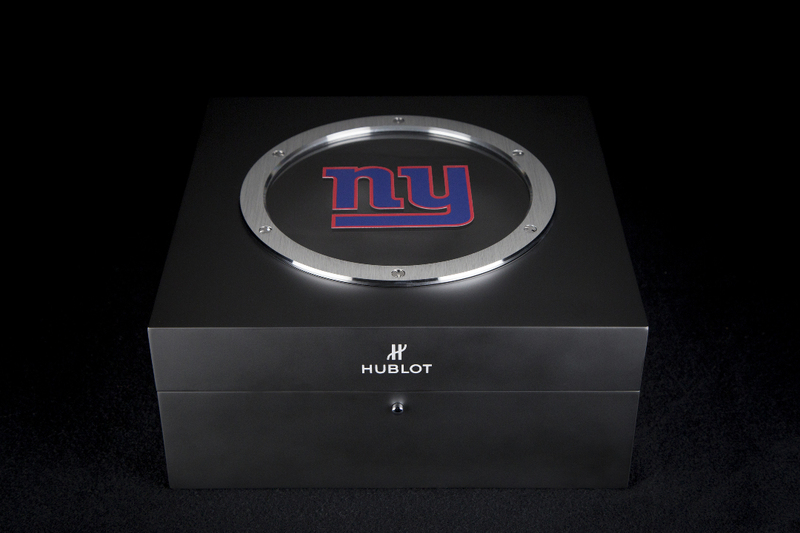 There will also be Hublot clock displayed throughout club and suite areas at MetLife Stadium for Giants’ games. 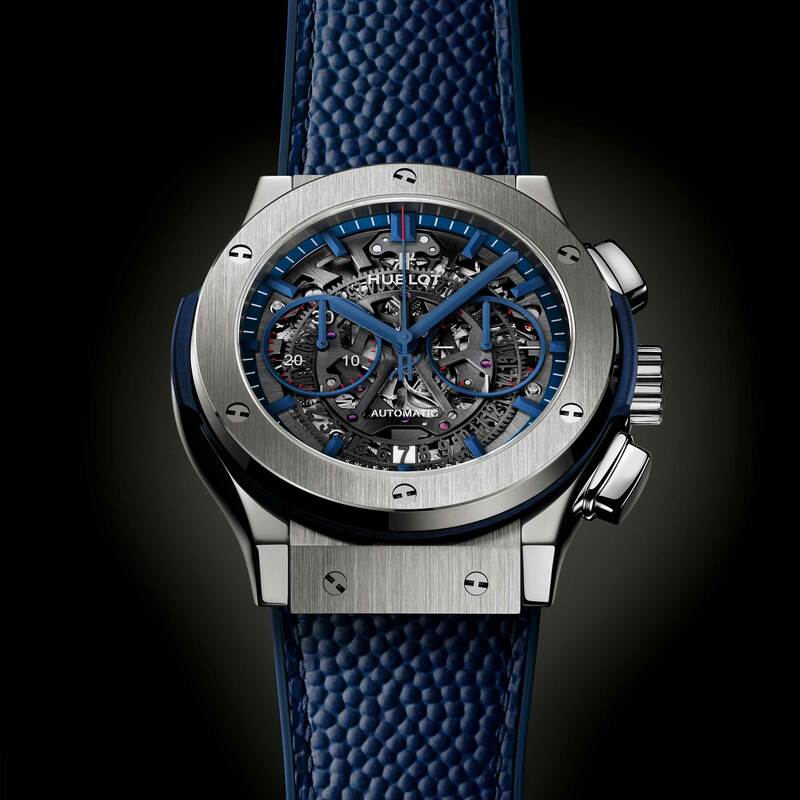 Even though “Big Blue” is the sworn enemy of the Eagles, I can’t help but tip my hat to Hublot for gaining yet another foothold in America’s most popular sport.